Monthly Dear Jane program...free domestic postage...Starts December 1. This will be an 18 month adventure! There will be paper pieces for all the blocks in a row each month plus 4 charm squares c. 1863 and Civil War Era Textile Histories Lessons. Some designs have been simplified a bit. Then pieces for each border for 4 months...Finally the corners...if you make it to that point...the final shipment is absolutely free!! The acrylic templates would be handy. We will bill your card each month as we prepare to ship months # 2-17. Dear Jane 9 piece acrylic template set (1/4' seam allowance)...some basic shapes. 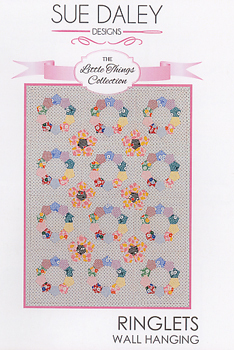 Sashing rectangle,adjustable squares, adjustable triangles and 6 different sizes of petals. 3 oz Scraps from assorted Margo lines. 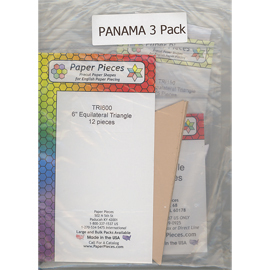 Perfect for Panama Pyrimids! 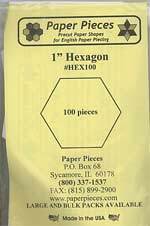 1" Half Square Triangle Paper Pieces..200 pieces. 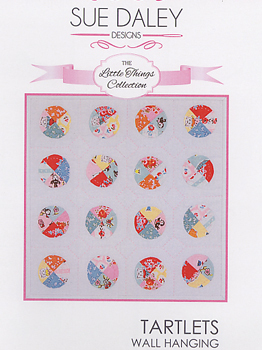 English Paper Piecing...Tartlets 1/4 circle paper pieces plus acrylic templates. 12" X 12"
Englsih Paper Piecing...Ringlets. 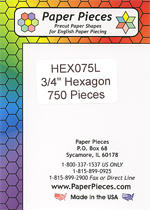 Tiny pentagons, paper pieces plus acrylic templates. 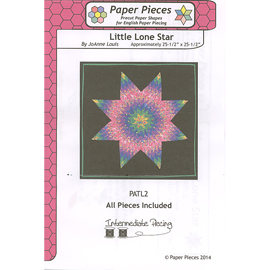 12" X 16"
Little Lone Star...in EPP. 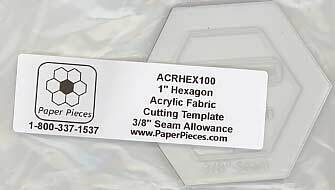 Intermediate Piecing Finished size...approximately 25 1/2" X 25 1/2"
Sewline Fabric Glue Pen, Quick,convenient,effective way to hold fabrics for sewing...easier than pins!